Cash gifts put your support to work right now. Your one-time gift will make an immediate difference. Monthly giving options can provide a way to make a substantial gift that’s easier on your budget. Make your donation on our easy to use (and secure!) online giving portal or give us a call at (503) 688-1769. For your convenience, we accept all major credit cards as well as electronic bank transfers. We appreciate donations by snail mail, too! We love hearing from our donors, so give us a call at 503.688.1769 or drop us an email to make your gift or learn more about how you can donate. Need a gift idea for a birthday, anniversary, holiday or other important milestone? Make a donation in the name of a special person in your life. A thoughtful way to recognize someone special, and help others at the same time. APPRECIATED STOCKS AND OTHER ASSETS work for you and your community. No need to wait until the end of the year to donate. We can work with you now to set up a transfer of stock. Other resources to share? We’d be happy to talk with you. The tax benefits could be ready and waiting when you need them. 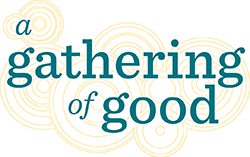 Take a look at these great giving options (PDF download). Director of Development Monica Wirtz can help answer any questions. IN-KIND DONATIONS are a big help! Donated goods and services make it possible for us to do more for the people we serve. GIVE YOUR VEHICLE ANOTHER SPIN by donating it to Metropolitan Family Service! Fill out the simple online form here, and be sure to select Metropolitan Family Service as your charity partner. Or, call Charity Connections at 503-239-7944 and let them know you’d like to donate a vehicle to MFS. MFS is a member of the Association for Fundraising Professionals and subscribes to AFP’s Donor Bill of Rights. MFS meets the Better Business Bureau’s 20 Standards for Charity Accountability. Visit our page at the BBB here. 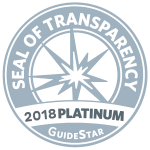 MFS earned the 2018 #GuideStarPlatinum Seal of Transparency, the highest level of recognition on GuideStar, showcasing the progress and results we’re making toward our mission! 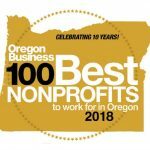 MFS has also been ranked the 20th best nonprofit to work for in 2018 from Oregon Business. We mean it when we say that we value each and every contribution that comes our way. To show our gratitude, we recognize gifts of $100 and above in our annual report. We’d love to tell you what has been accomplished with your donation. Give us a call at (503) 688-1769 or shoot us an email and we’ll fill you in. And just so you know, your donation may be tax deductible. It’s always a good idea to check with your financial advisor to get the most from your charitable donations. For your records, we are a private nonprofit 501 (c) (3) organization and our tax ID number is 93-0397825.